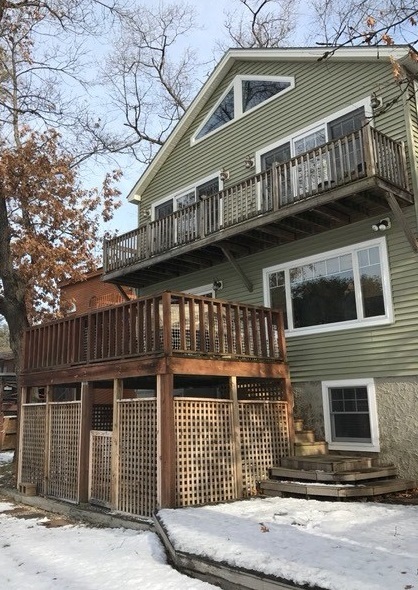 These homeowners have a beautiful property on the lake but the previous 2 decks, lattice, patio and stairs wrapping around to the front of the house was aged and rotted out. They needed a complete gut a rebuild. We are always happy to help our local customers & this project was FUN! Professional Building Services did a Deck Design for all elements of this unique project. We built all decks/patios with Trex Transcend Decking in Tropical Spiced Rum with picture framing and fascia. The Trex Transcend Spiced Rum Cocktail Railings with white posts and caps really give a lot of character to this backyard. 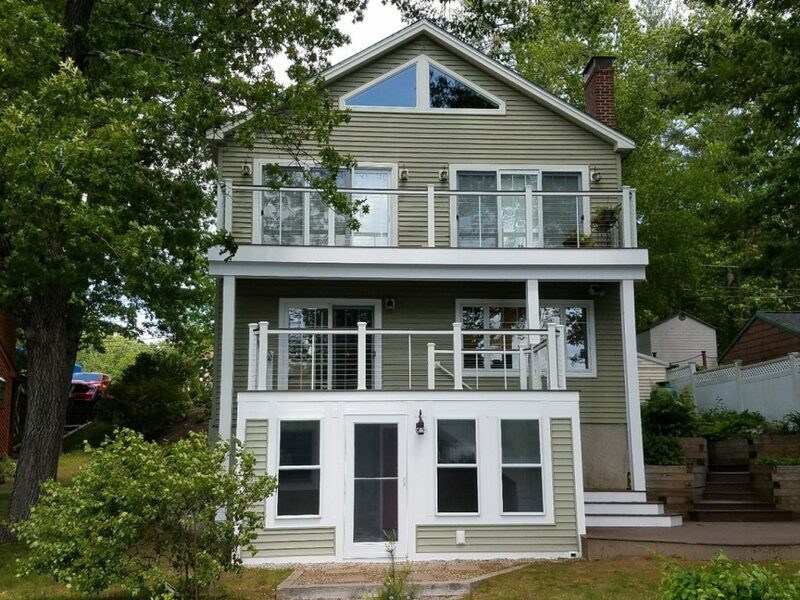 The 3 season room is a great space for these homeowners to enjoy the New England views in the shade & the patio and stairs along the house create easy access for visitors! 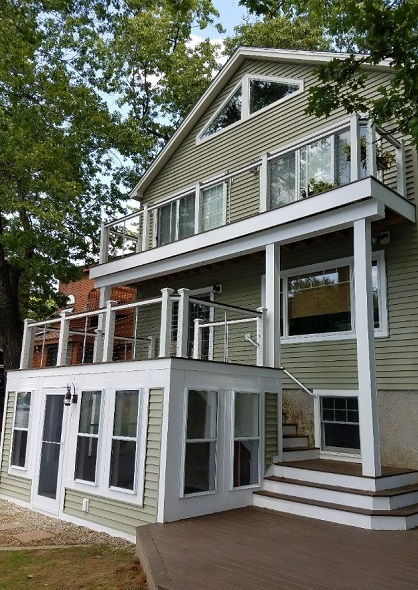 The homeowners love the look and function of their new decking project!